In Delhi and Mumbai, the petrol prices have been increased by a total Rs 1.62 per litre and Rs 1.63 per litre so far this year. 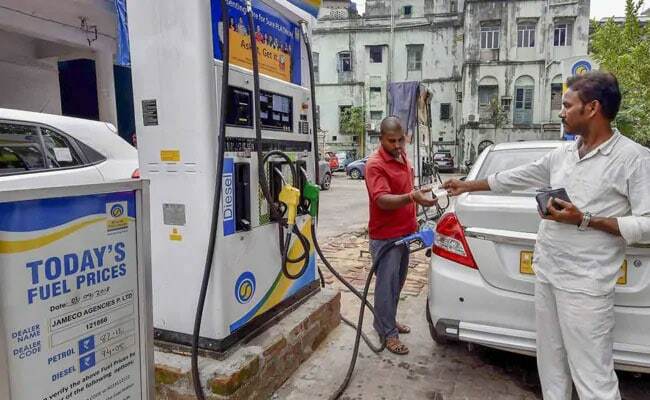 In Kolkata, the petrol price was at Rs 72.57 per litre on Wednesday, and the diesel price was at Rs 67.51 per litre. In Chennai, the petrol price was at Rs 73.14 per litre and the diesel rate at Rs 69.44 per litre. Petrol and diesel prices are determined broadly by the rates of crude oil overseas and rupee-dollar in the forex market. Including Friday's revision, the fuel prices have been hiked 16 times so far this calendar year, and lowered 13 times. In Delhi and Mumbai, the petrol prices have been increased by a total Rs 1.62 per litre and Rs 1.63 per litre during this period. The diesel prices have been revised upwards by a total Rs 2.87 per litre and Rs 3.07 per litre respectively. In Kolkata, the petrol price has been hiked by Rs 1.61 per litre so far this year, and the diesel prices increased by Rs 2.9 per litre. Similarly, in Chennai, the petrol price has been raised by Rs 1.73 per litre so far this year, and the diesel price by Rs 3.09 per litre. As per the current system of daily price reviews followed by the oil marketing companies, the domestic fuel prices depend on international fuel prices (fifteen-day average) and the value of the rupee against the dollar. The fuel rates vary from city to city and from pump to pump depending on local taxes and transportation cost. Global crude oil prices have declined more than 25 per cent since the October high of $86.74 a barrel. However, Brent futures - the global benchmark for crude oil - have risen about 20 per cent so far in 2019. The rupee has weakened about 2 per cent against the dollar so far this calendar year.